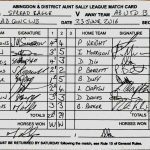 On what proved to be a dry but cloudy evening at Abingdon Conservative Club the Spread Eagle took on league leaders Abingdon United B in the final of the 8’s knockout competition. With Ab.Utd winning the toss and setting a respectable 22. Spread replied and scraped the 22 for a 3 stick decider. United won the toss and set 10 which Spread matched by the 7th player to take the first leg. 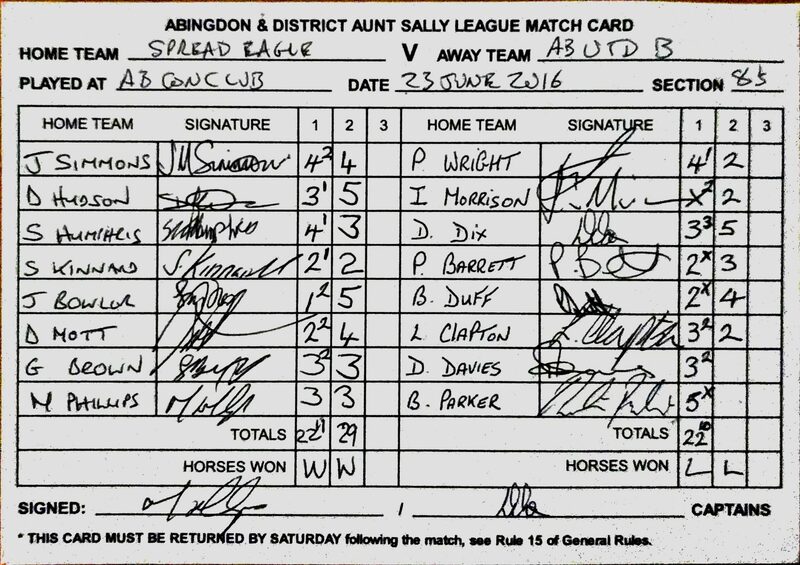 The toss once again went to United (much to the angst of birthday boy Captain Mick Philips) but this time Utd Captain Dave Dix put Spread Eagle in and they took the opportunity to rack up 29 dolls. United replied poorly with a 2-2 and then hope raised with 5-3-4 but then was lost again as it became impossible to match such a premier score. Video is now available on Aunt Sally TV on YouTube !